"My favorite new crime fiction discovery is Radha Vatsal. 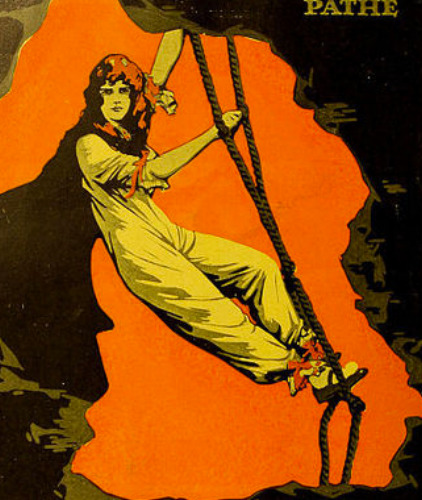 A Front Page Affair and Murder Between the Lines, which feature lady journalist Kitty Weeks working her society beat in 1910s New York City, are utterly delightful and rich in city history from that time frame without overburdening the reader with research." Sarah Weinman, The Crime Lady newsletter #081. 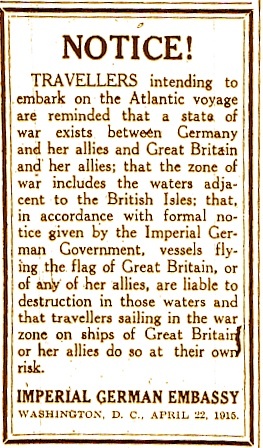 Notice published by the German Embassy in April 1915 warning American travelers intending to sail to Europe on British ships.